An unusual combination of instruments, producing a beautiful sound. 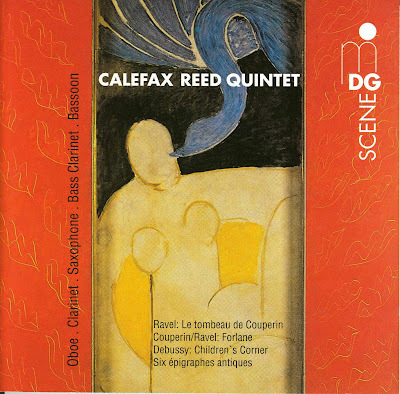 I recommend to check out the group's wonderful interpretation of Jean-Philippe Rameau's "Nouvelles Suites" and the samples on their own website (http://calefax.nl/audio/). Interesting music is always welcome. Dear Anchusa, thank you for this fine posting! What a fantastic thing to undertake such a "sacrilegious" attempt! I am thrilled. Thank you very much.